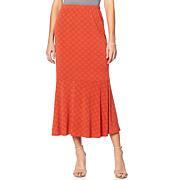 Thrill them with a figure-flattering look that can stop traffic. 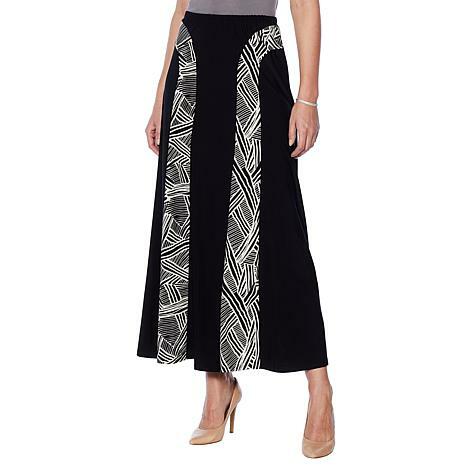 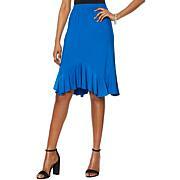 This contrast-panel skirt gives the illusion of a smaller body, adding va-va-voom to your wa-wa-wardrobe. 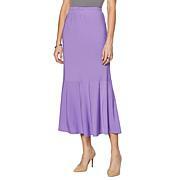 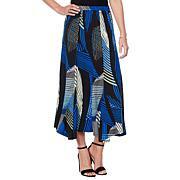 Style of the skirt is easy and comfortable with great flares to the body.